A free Prezi Presentation Template with “Building Your Ideas” concept. A good presentation for demonstrating how you formulate your ideas and concepts. Presentation includes construction machinery visuals on a yellow gradient background. All elements can be moved separately so you can build your own layout. 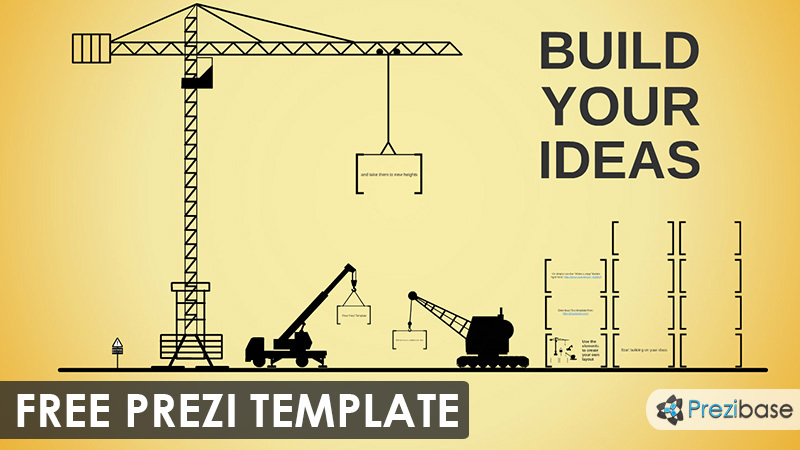 This entry was posted in Best Prezi presentation templates and tagged build, build vision, building, building blocks, concept, concept building, construction, crane, free prezi template, ideas, lift, machines, motivational, prezi templates, team, vision, warning sign, working, yellow.